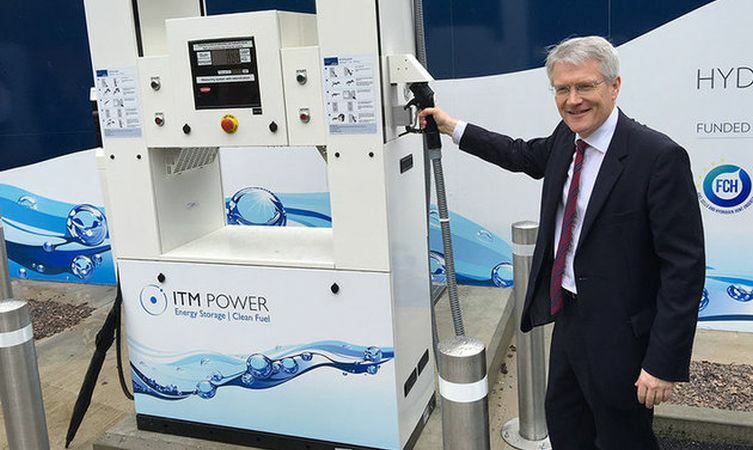 Energy storage and clean fuel company ITM Power launched its first public access hydrogen refuelling station today at the National Physical Laboratory in Teddington, London. Located close to the A316 and A308 trunk roads, the new station is available for commercial and private fleets operating fuel cell electric vehicles. The station was opened to the public by Transport Minister Andrew Jones MP, and is the first of three such stations to be opened in the UK as part of the pan-European HyFive project. This is supported by Toyota and fellow automotive members of the European HyFive consortium, and funded by the Fuel Cell and Hydrogen Joint Undertaking (FCH JU) partnership and the UK government Office of Low Emission Vehicles (OLEV). 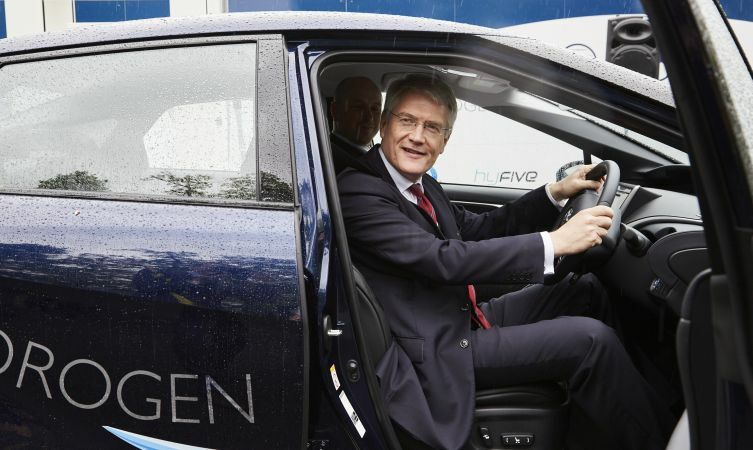 After announcing a £2 million government fund to support the roll-out of hydrogen vehicles in public and private sector fleets, Andrew Jones MP commented: “We are committed to making all cars and vans zero-emission by 2050, and hydrogen vehicles have a huge role to play in delivering cleaner, greener journeys. 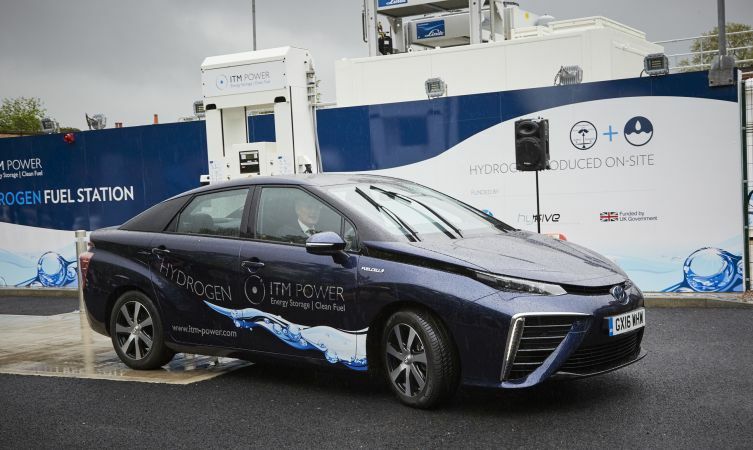 Paul Van der Burgh, President and Managing Director of Toyota (GB) PLC, said: “The opening of ITM Power’s new filling station is an excellent example of how a coordinated hydrogen fuel infrastructure is successfully being developed in the UK with backing from the HyFive consortium. Teams from ITM Power and BOC Linde are to commission and open a further four electrolyser-based refuelling stations in and around London before the end of 2016. 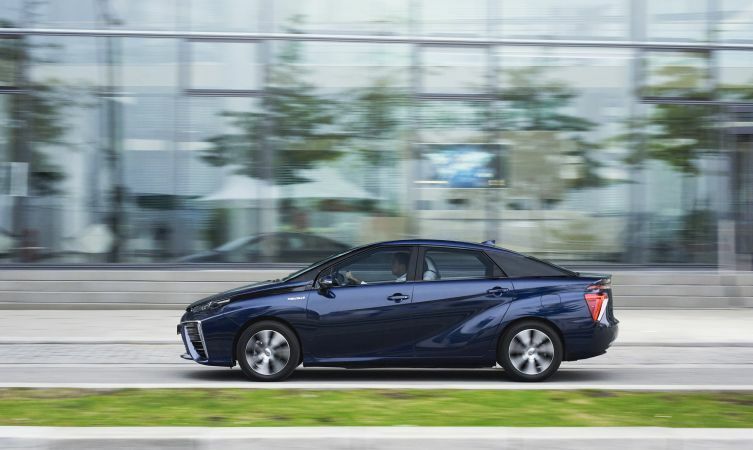 Read more: What do early adopters think of the Toyota Mirai? Wonderful news , I just hope that this very latest eco friendly fuel and form of transport quickly becomes the norm for us all . Well done ITM Power and Toyota !